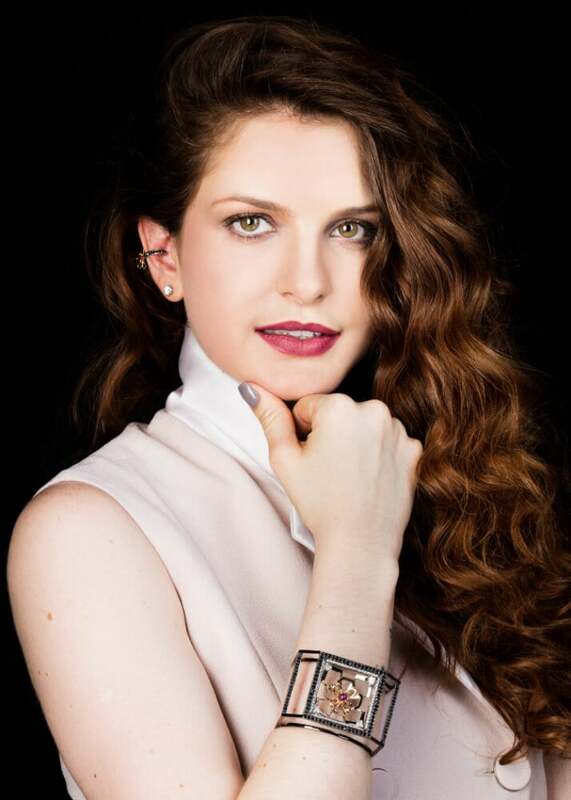 THE STORY OF BIA TAMBELLI, YOUNG JEWEL DESIGNER FROM BRAZIL,STARTS WITH THE PASSION FOR PRECIOUS STONES AND ART. Raised in Minas Gerais, Brazil – the land of magic and precious stones – Bia soon starts scouting for stones and collecting them. Little by little,her love for art, design and painting grows but she'll never forget her stones. Little did she know they would become her future trademark. It's early 2017 when she débuts in the world of haute joaillerie with the launch of her namesake line: BIA TAMBELLI. The symbolic value of stones really permeates all her work: each piece is pure balance of shapes, colours and evocative power. Through their energy and strength, the creations educate those who wear them to dedication and empathy, all fundamental steps to an individual's spiritual growth. The jewels convey a strong energy, emotional and spiritual freedom; the strong love for artin the stricter sense of aesthetics helps celebrating this unique and exclusive style. The Portal and Arpia collections represent a constant pursuit of symbolism, that goes hand in hand with the expert craftsmanship and talent of Bia. Those who wear her jewels cannot but embrace their force and primordial beauty.